Opal Ladies and Gentlemen 8011 Sincere. 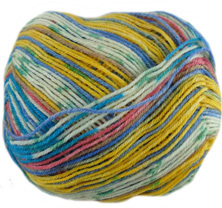 4 ply self patterning sock knitting yarn. 75% wool and 25% polyamide. 100g, 425mtrs. 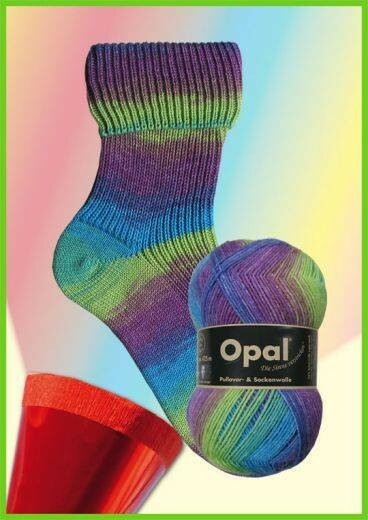 Opal Illusion 9315, Artist is a 4 ply self patterning sock knitting yarn. 75% wool and 25% polyamide. 100g, 425mtrs. 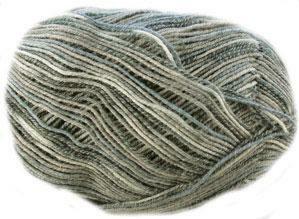 Opal Illusion 9313, Bodybuilder is a 4 ply self patterning sock knitting yarn. 75% wool and 25% polyamide. 100g, 425mtrs. 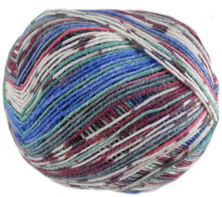 Opal cotton premium 6921, 4 ply self -patterning sock knitting yarn - fair isle and stripes. 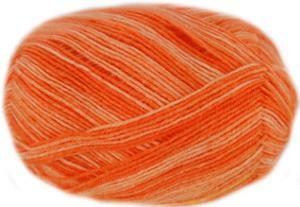 38% wool and 32% polyamide, 30% cotton. 100g. 410m.